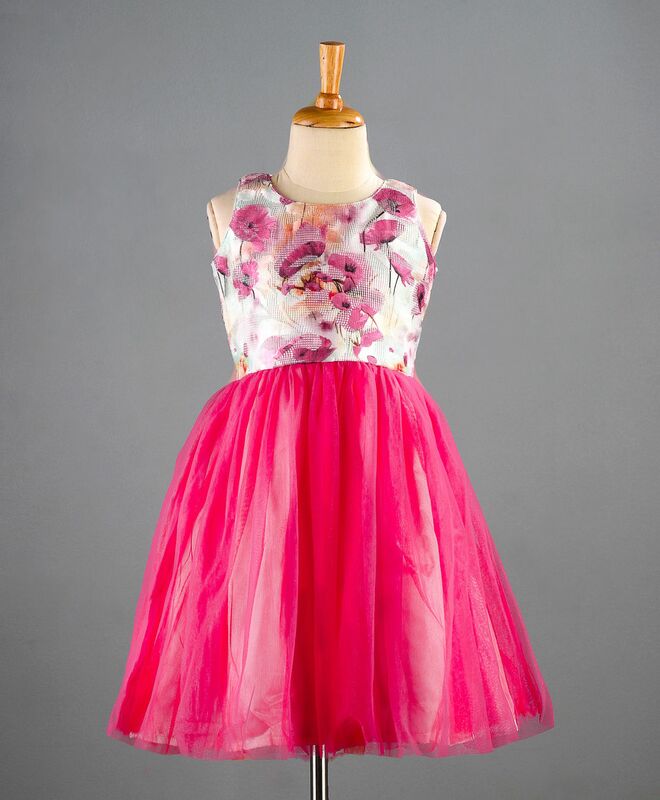 Brighten up her party wear collection with this beautiful frock by Doodle. The sleeveless design features floral bodice and net skirt. Back zip closure and sash tie for comfort fit. Complete the polished look with a headband and matching pumps. Doodle aims to be the most consumer-centric brand of dresses for girls in India and aspire to be India's favourite brand in girl child apparel. 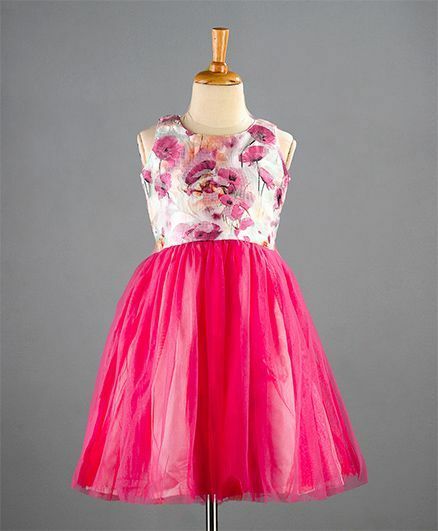 Doodle provides high-quality dresses from New Born to the age of 14 Years. Their product profile includes dresses for Daily Wear, Evening Wear and Party Wear.In-house production also allows them to bring new styles in a short time to the stores. They distribute their products through multiple channels and has a total of 44 locations doing a business of approximately 100 Lakhs per month. worth for money. fabric quality and colour is very nice... superb one.